Few things in life get Star Wars fan excited like a new film and the bevy of action figures that come with it. This Fall is no exception – Wave 1 of the Star Wars: The Force Awakens 6″ Black Series has hit stores, with Wave 2 slated for October. 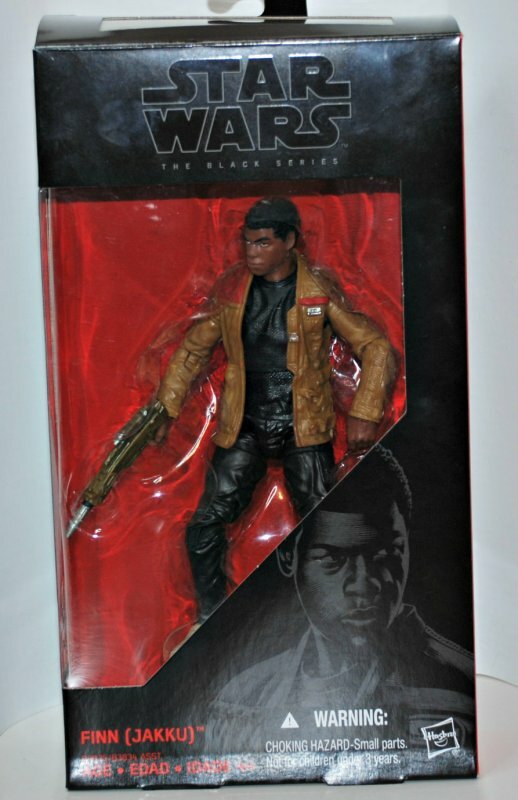 Today we will take a look at Finn, figure #01 of The Force Awakens line. 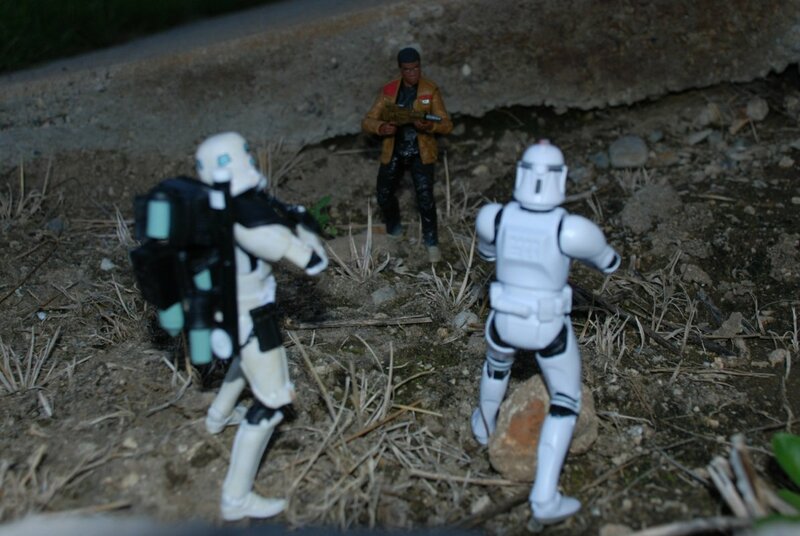 Finn stands just under 6″ tall, and is slightly shorter than armored figures like the Clone Trooper or Sandtrooper. Otherwise he stands in scale with the rest of the line. 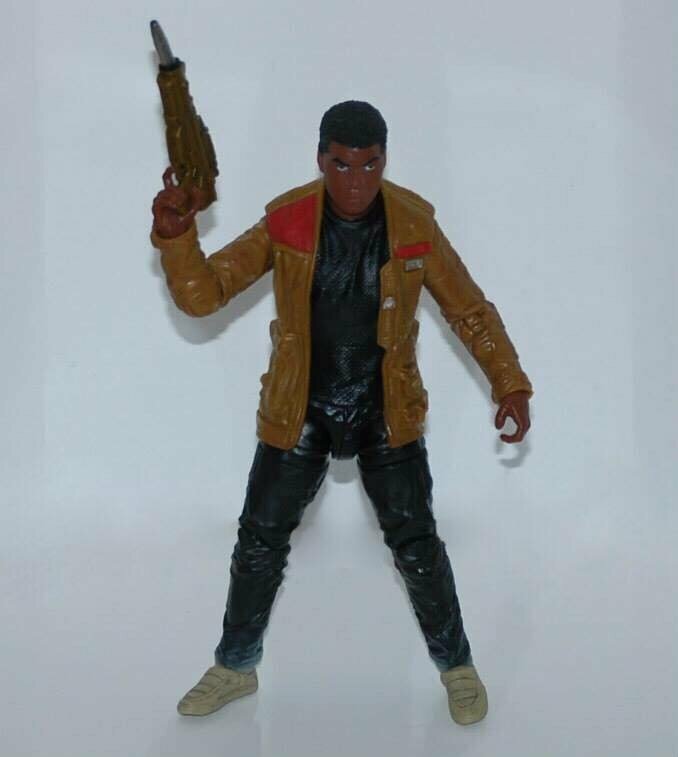 The articulation is what you would expect from the Black Series, and is only hampered by the bulk of his jacket. The jacket combined with the lack of cut shoulder articulation makes two-handed poses difficult, but not impossible. At first glance he appears to be quite plain, but the the sculpt is highly detailed. From the texture of his hair to the wrinkles of his pants, the sculpting is top notch and what we have come to expect from the line. Based on what I have seen from the set costumes, it is accurate as well. He captures the iconic Star Wars look easily. Where Finn stands out to me is paint. This line has had some quality control issues, but fortunately the paint on Finn is neat and smooth. The jacket is covered in a reddish brown wash that brings out the pattern running vertically down the sleeves. His rifle features a similar dirty wash. The bottom of his pant legs and shoes are are dry brushed with a sandy brown. He is otherwise plain, but these little touches are something Rey could have benefited from. Unfortunately, Finn features only a single accessory. The blaster he comes with is particularly detailed and well-painted. I will admit that Finn exceeded my expectations once I actually had the figure in-hand. His outfit is simple and accessories sparse, but I have a feeling that come December he may prove to become an icon. If you see him peg-warming at your local toy store, take a chance. You might just be surprised.